What is the "Backdoor" strategy for contributing to a Roth IRA? 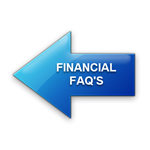 Roth IRA contributions are limited in eligibility based on your filing status and corresponding income. For instance, if you file married joint and your 2019 modified adjusted gross income is above $203,000 you’re not eligible to contribute to a Roth IRA. There are limitations and contribution reductions for different filing statuses and income levels. The “Backdoor” Roth IRA is a technique used to work around these income limitation rules for Roth IRA contributions. So for those who earn enough money that they’re not eligible to make a Roth IRA contribution, there’s a “backdoor” way to still contribute money into a Roth IRA. Taxes are only due on $13, since that is the conversion amount above his $6,000 basis (non-deductible contribution amount). This $13 is essentially the earnings on the account between the time John contributed his non-deductible IRA funds, to the time he converted them to a Roth. So you can see that this technique is much more beneficial when conducted by those who don’t have existing Traditional IRA accounts in place, as the taxability of the conversion to the Roth account is calculated using a prorated percentage of non-deductible vs. deductible IRA funds. Also, remember that the total of all 2019 Roth & Traditional IRA Contributions cannot exceed $6,000 ($7,00 if age 50 or older), and must be less than your taxable compensation for the year. Contact us if you have any questions on how this Backdoor technique can be used for you!